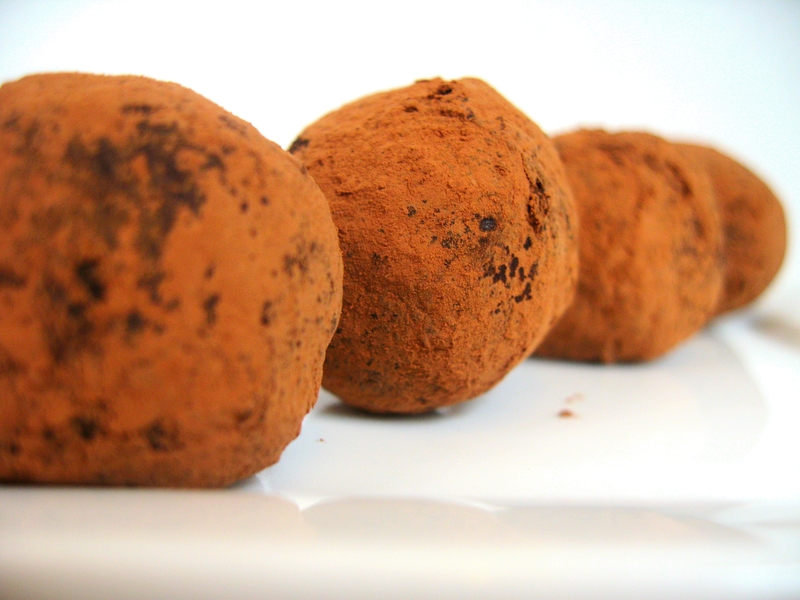 Truffles are such a decadent treat, and really are very simple to make yourself at home. You can flavor them up in numerous different ways by changing up the extracts (vanilla, peppermint, almond, etc. ), liqueurs (Grand Marnier, Frangelico, Amaretto, Framboise, Kahlua, etc. ), spices, and by varying the sweetness of the chocolate that you use. Other than that the ingredient list is simple. Good quality chocolate (here I used all dark, because I love that rich, bitter, chocolate flavor), scalded heavy cream, and cocoa powder (to roll them in). I also like to add coffee, as I do whenever I am making anything with chocolate. Not enough to taste the coffee per se, it just makes the chocolate itself taste better. Perfect as a special treat with coffee after dinner, or as a gift wrapped up in a beautiful tin, these truffles are a great addition to anyone’s kitchen repertoire. Enjoy! These look great. If I made them I might not share. I wouldn’t share these either! Nope, not sharing either. Your Truffles are beautiful. thank you for sharing this recipe. I love chocolate truffles but never try a dark chocolate one. I think I will give it a go in the future. Well, first off, you had me with dark chocolate. It’s the only chocolate I eat. I really don’t enjoy milk choco because it’s so sweet. I’m with you, I enjoy the bitter notes of the dark. So complex…oh, I could go on and on. These are so beautiful. great pics. thanks for sharing! 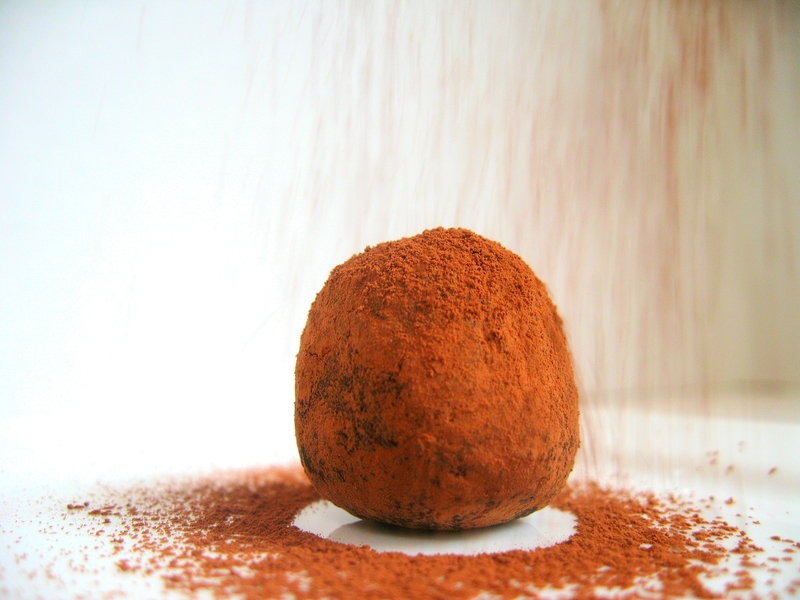 I love truffles…..yours look so very good! One of my favorite things and I agree they are pretty simple to make. Great photos! 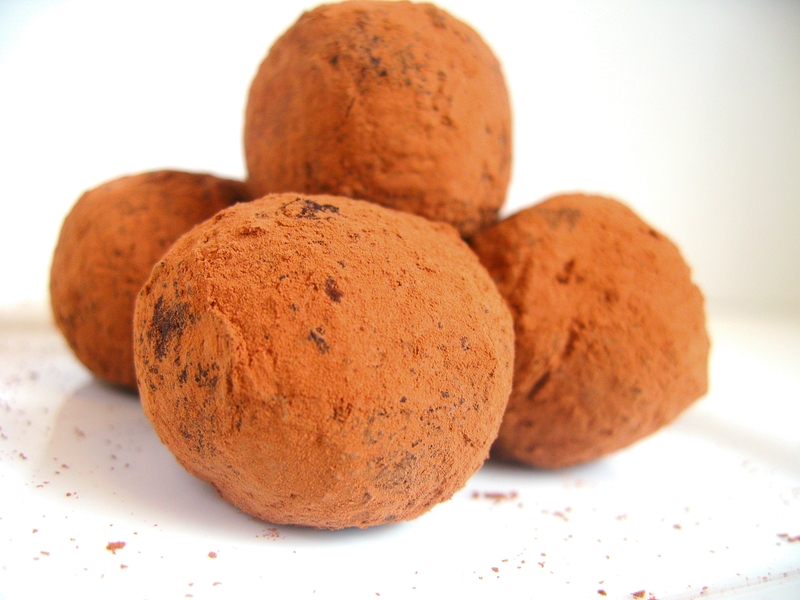 I love homemade truffles. They are so easy to make and so easy to eat…which makes them very dangerous to make. One of my favorite desserts. Very good. Yum Jacob! I just clicked on this from my own blog, since your’e on the Top 9! Nice! Truffles with dark chocolate. Mm mm mm! That is what I call a delicious treat. I will be frequent visitor on your blog. I already got list of things i want to create including the truffles. Yummy and yummiest, great relief for my choholicness and sweet tooth. Where is your kitchen? I’ll be right over! 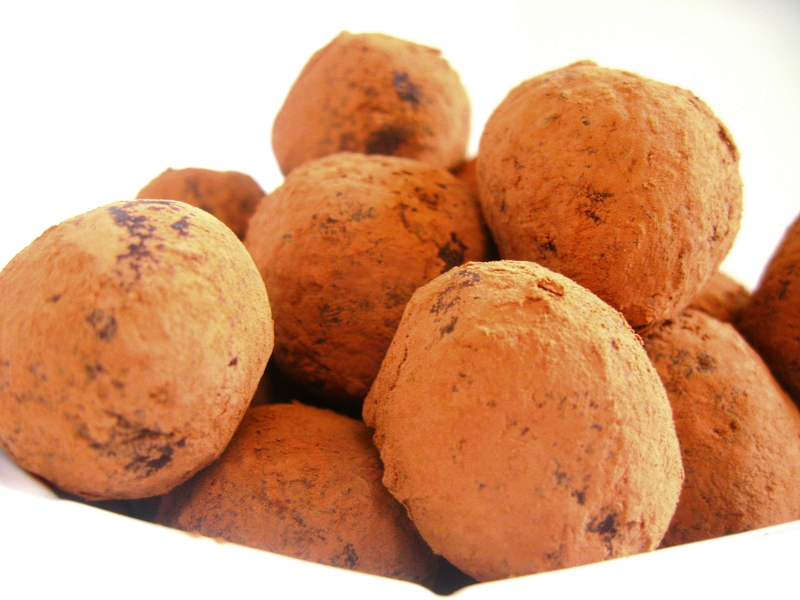 Dark chocolate truffles – you’re killin’ me with all your baked goodies! I attempted to make raspberry truffles the other day and i was planning on making a post about them but they turned out RUBBISH! Yours look amazing, congratulations on top 9!!! woohoo! I love the simplicity of these and they sound great! Thanks! i’d love the recipe for these but am i crazy? i don’t see where the recipe is that many people commented you were so nice to share?? Hi Page! Sure. It is very simple. Heat the heavy cream to just below a boil, pour it over the chocolate. stir until melted. Add the remaining ingredients. Refrigerate until firm. 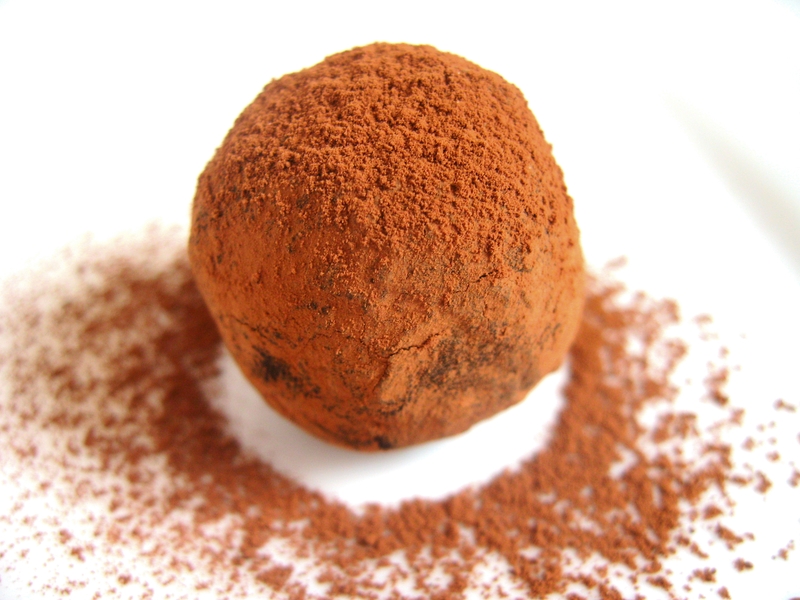 Scoop into balls, and roll them in cocoa powder. And that’s it. Hope that helps. Enjoy!